Several weeks ago, my patient Mary brought me a bag of Gravenstein apples fresh-picked from her backyard tree. They were squat and mottled, and, from the occasional puncture hole, I could tell that the birds had enjoyed them first. These apples had little in common with the archetypal Granny Smith you might find in a supermarket. I lifted the oddest of the bunch from the bag; it looked like a giant dappled lima bean. She is right. We want our produce to look like supermodels: sleek, unblemished and perfectly proportioned. But I am discovering that our preference for these idealized fruits and vegetables might have negative consequences for our taste buds and our health. That’s what I feel like when I’m out and about with The Boy. We are lumpy and wonky and, while he’s very handsome, I look like more like a giant dappled lima bean. I wish we were more sleek, unblemished and perfectly proportioned. I wish our blemishes weren’t so obvious. Wherever The Boy and I go together, it’s obvious that something’s not right. The wheelchair is probably the first clue. But there are plenty of others. You don’t even have to look very far. And candidly, that may be a good thing. Scratch any of us, and you’ll find a world of hurting. Jobs gone bad. Relationships gone sour. Personal addictions. So here’s good news for all of us: Blemished, lumpen fruits and vegetables are not only more delicious, they are better for us, too! Apparently, the really pretty fruits and vegetables we see at the store have been bred for beauty, ease of transportation, and long shelf life. Not so much for flavor. 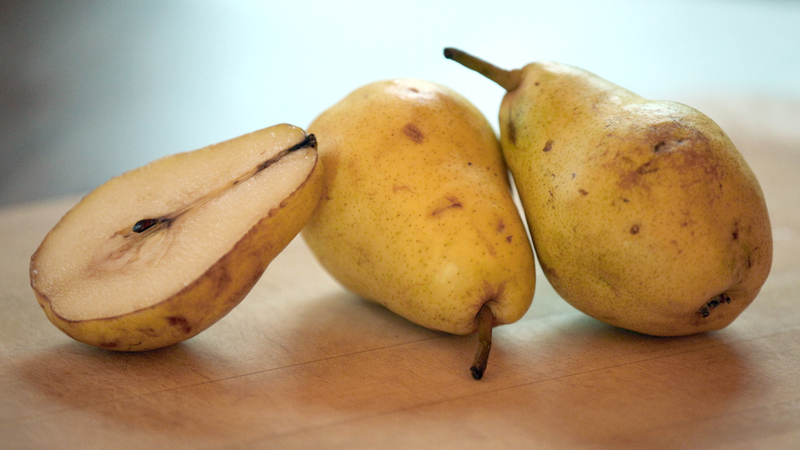 So if less-than-perfect fruit is so good, maybe less-than-perfect me is good, too. And better yet, I can see that The Boy brings something of value to the table that isn’t available anywhere else. How ‘bout you — squishy peach, anyone? About: This is a blog about accessibility, intimacy, and community. About being welcome. It’s also about bringing up The Boy. He's 10 years old and has cerebral palsy. Also popping up are The TeenGirl, who just turned 13, and The Mom, who is awesome. It's written by The Dad. It's my words, my view. Other people will think differently and have different opinions. Good.